A unique programme designed to promote spontaneous physical, emotional and spiritual healing. In Anatomy of the Spirit, Dr Myss sets out a unique programme designed to promote spontaneous physical, emotional and spiritual healing. 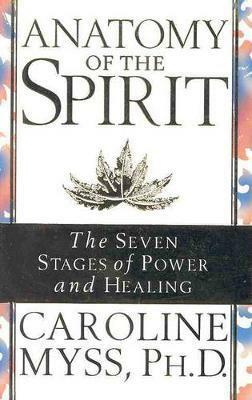 She explores the links between spiritual and emotional stresses and the specific illnesses these create in different parts of the human energy system. This book also presents Dr Myss's long-awaited model of the body's seven centres of spiritual and physical power in which she synthesises the ancient wisdom of three spiritual traditions - the Hindu chakras, the Christian sacraments and the Kabbalah's Tree Of Life. With this model, Dr Myss shows how you can develop your own latent powers of intuition and simultaneously develop your personal power and spiritual maturity.